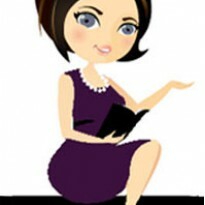 After the whole ordeal with their new home the Hillgate Mansion Zoey and Claire are in need of a vacation. To bad this is not going to be one where they can relax. This time they go on a cruise and keep bumping into dead bodies, if only that was the worst they will encounter on this vacation. This story is a little more fast pasted then the first one. On every corner Zoey and Claire seem to bump into either trouble or a dead body. Now you think Zoey and Claire have to get scared or al least a bit nervous and they are at times, but most of all they laugh it off. Sometimes they may joke at a time when it isn't exactly appropriate. And where the first book didn't give you a chance to take a guess at the bad guy, this book does. And although chances are you will guess who it is, this gives the story that little extra. I love taking a guess at who did it. 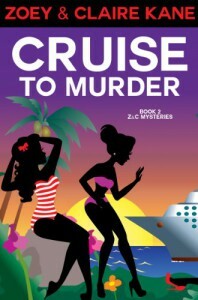 Cruise to Murder is, just as The Riddles of Hillgate, a fast, fun and entertaining read. Yet again this is not a book to take to seriously, but it is defenitely one to enjoy.